"While shattering myths about evolution and God, Slave Species of god enables evolutionists and creationists to finally co-exist in one pond. The arguments are compelling, simple and refreshing, retracing the path of human evolution from the murky distant past to the religious dogma that haunts humankind today. 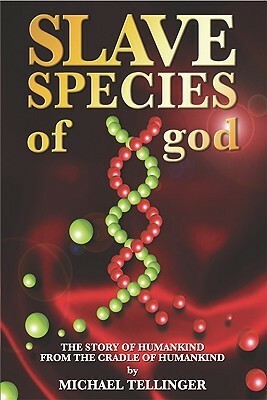 The question of who we are and where we come from takes on a new meaning as we discover that our DNA may have been manipulated by our CREATOR some 250 000 years ago to produce a less intelligent ‘primitive species’. . . . How did this genetic manipulation affect humankind? How have we evolved in 250 000 years? Can we achieve immortality? These are just some of the questions answered in this gripping and astonishing work, challenging all those who are looking for new answers in the 21st century."